You've seen my confession for my love of cocoa flavour when it comes to skincare too, earlier. 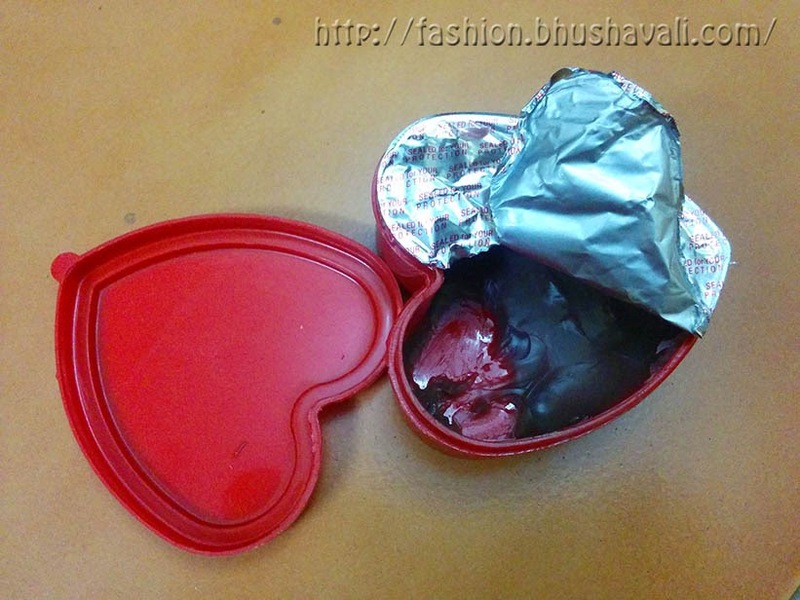 Here's one more skin care product with cocoa flavour. 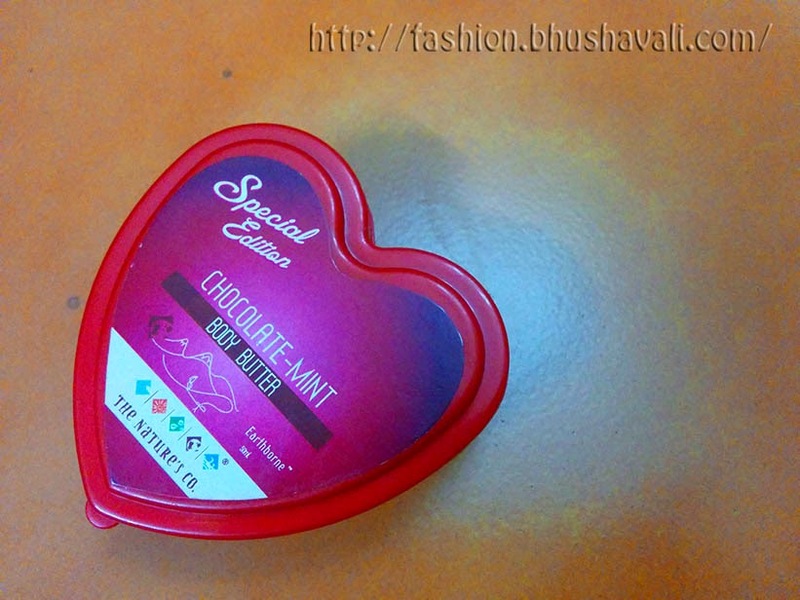 This time its a body butter from The Nature's Co.
Its a chocolate-mint flavoured body butter. The color, smell & texture very much reminded me of Nutella!!! Its brown and has a rich aroma of chocolate. I did not bother to taste it, but I guess it would taste so too!!! Lolz. It makes the skin feel so nourished, without feeling oily or sticky and that's something I really like. 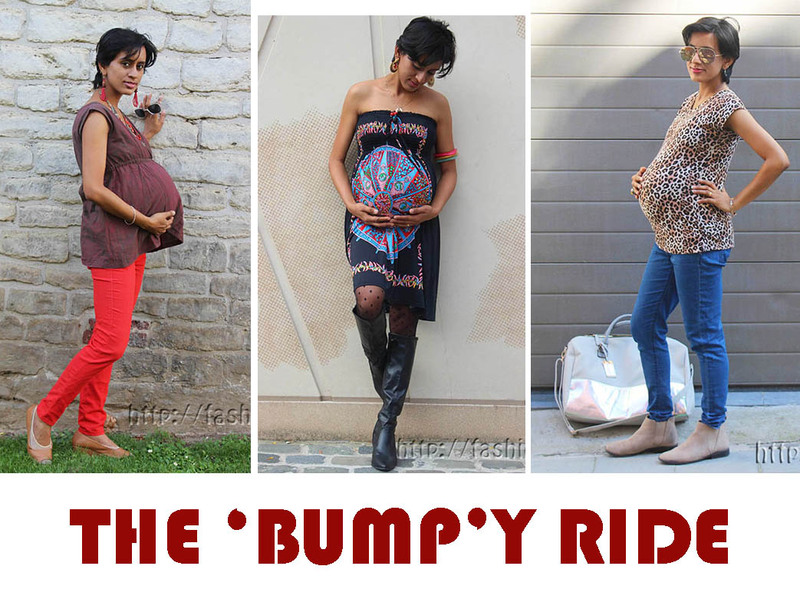 It absorbs quickly. Even in winters this is good enough for me and I totally loved it. But if your skin is extra dry then this many not enough for winters. 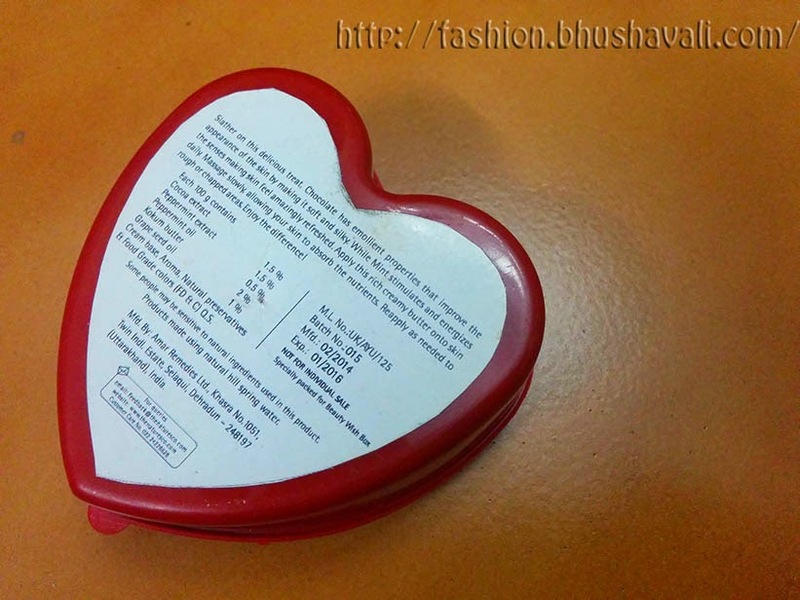 This heart shaped plastic packaging was a part of the Beauty Wish set, however the regular packaging is in a square glass tub! However this packaging is more travel friendly! And as usual the best part is that its vegan and PeTA approved! It wil help u network n increase connections worldwide. Will check it out bud! I would be tempted to eat it, it looks like candy!